The 19th century saw the earliest baseball games ever played. 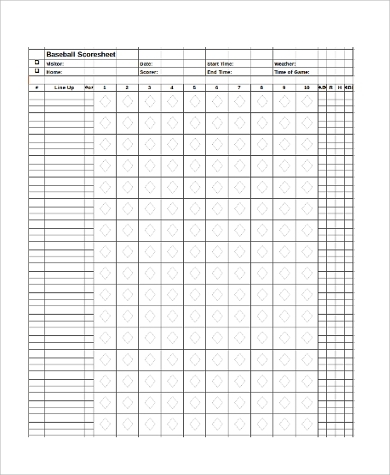 Although there exists a continuing debate as to the exact origins of the sport, there is no question that for as long as fans could remember, onlookers have been known to have scorecards and pens with them as they watch the games. 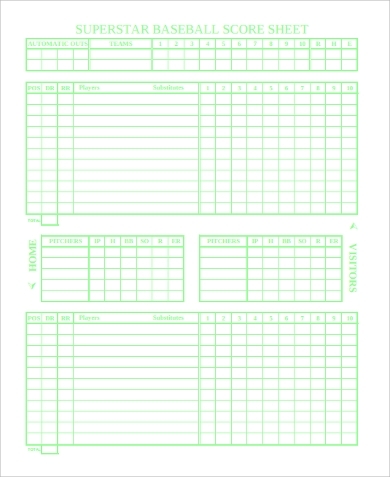 Below are samples of these scorecards. There are now smartphone apps on scoresheets, but since fans track the games according to their own preferences and styles, carrying physical ones with them to the stands never really went out of fashion. If you have only been hooked to the sport very recently, learn to design your own if you wish, with the help of these samples. 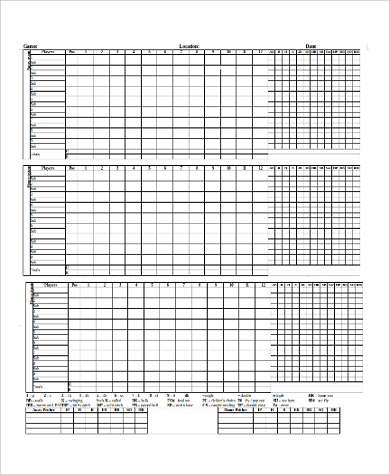 Yet another game for which scoresheets are popular is bridge, which take on the format of these Sample Bridge Score Sheets. There are game programs for sale during matches. 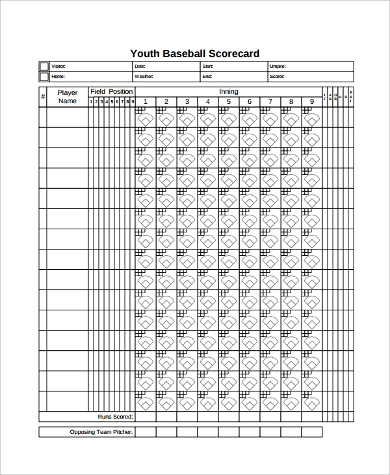 These programs could include scorecards, but if you wish to record the game in your own way, bring ready-made ones like these samples with you to the stands. Not only is it personalized, it is free too. This is the system conventionally used, but you may create your own symbols for each. 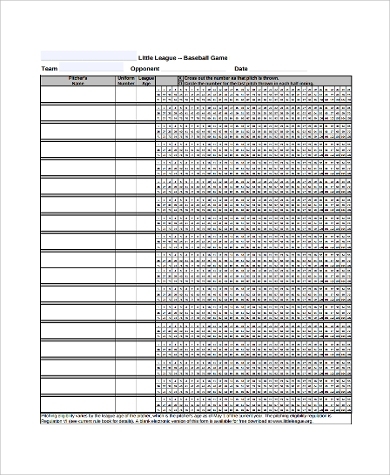 Professional baseball leagues follow a scoring system and have official people recording the ins and outs of games. Fans and onlookers, however, have been known to record scorecards too for the fun of it. 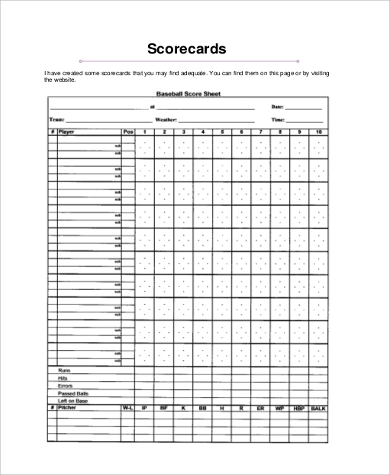 Completed scorecards make great game souvenirs and collectibles, and are also a great way to interact with fellow fans. The games of today make for moments remembered and celebrated tomorrow, and years from now your grandchildren could talk to you about these matches and you can pull out your scorecard and say that you were there. 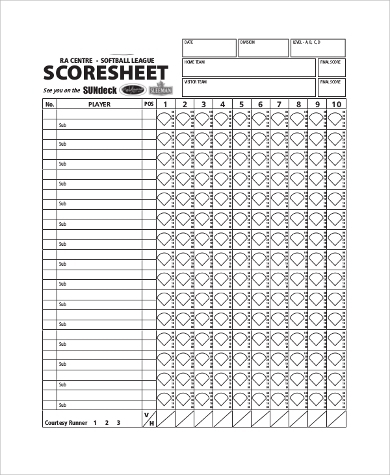 Scoring exists out of the baseball stands and the general world of sports too. 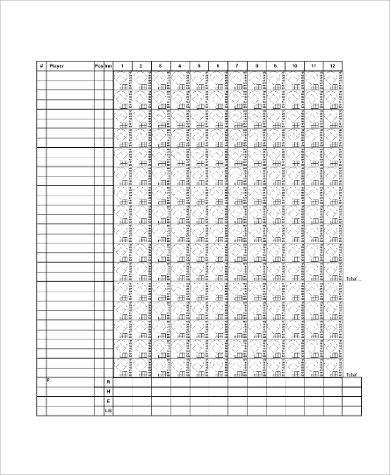 In the field of work, applicants and candidates can be assessed with these Interview Score Sheet Samples. Pinochle, a two-player trick card play is another game for which scorecards like these Sample Pinochle Score Sheets are similarly used too. 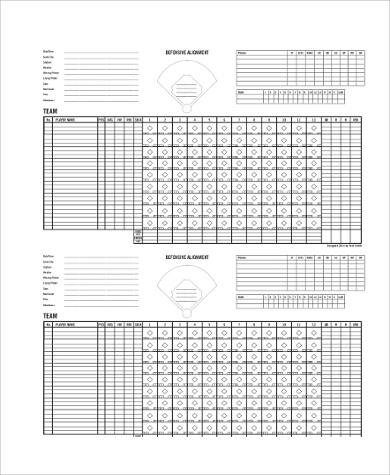 For sports fans and game-watchers in general, keeping track of plays through scorecards makes for a more enjoyable and interesting time during matches.